Want to be mollycoddled and spoilt like a kid? Then this is where you should go. 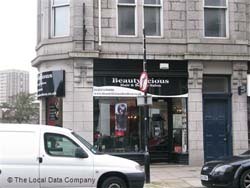 Beautylicious is one of the most visited beauty salons in Aberdeen, well-known for its quality beauty treatments with great results, for its acknowledged staff and the latest equipment. At Beautylicious you can find what is called perfection; a mixture between friendliness and professionalism. Is your hair showing signs of stress? Does it lose its shine, volume and strength? If the answer is yes and you are from Aberdeen, the solution is simple. All you have to do is pay Tifanny Hair & Beauty salon a visit, and let the amazing staff come up with useful solutions. Not only your hair will be treated like a royalty, but your entire body, along with your psychic tonus. Once you access their official website, https://www.edenbeauty.biz, you will understand that this business is focused not only on the body but also on the mind. 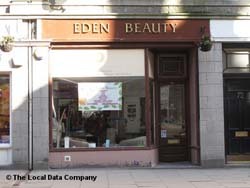 As the mind is healthy when the body is healthy, Eden Beauty salon provides people with innovative solutions. Whether you need waxing, tanning, eyelashes, facials, manicure or pedicure, you can be sure this is the place where your needs will be satisfied. What can be more relaxing than a day at the spa, being treated like a queen by well-prepared pioneers of beauty? 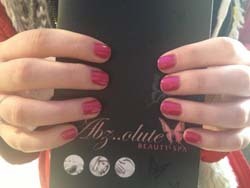 Abz olute Beauty Spa is exactly that kind of place where both men and women can feel the pleasure of being alive. The comfort and the numerous facilities are this salon's greatest trumps. Do not forget to call before and set an appointment at one of the greatest spas in Aberdeen.